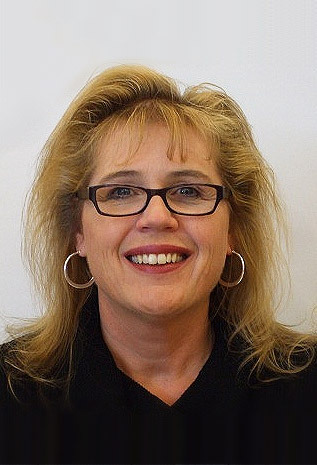 Pathway Health’s Susan LaGrange presents the Infection Prevention and Control System Check Webinar. Infection Control continues to be one of the top deficiencies in the country. Whether you are an Infection Preventionist, Administrator, DON or Nurse Manager, this one-hour, fast-paced presentation will walk you through key strategies to check your system for quality and compliance. Tune in March 13 at 1 p.m. CT/ 2 p.m. ET for this FREE educational webinar. Attendance is limited to the first 500 registrants, so register early here! 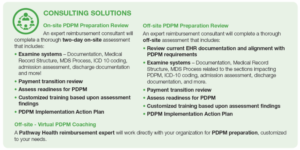 What Do You Really Need to Do Now to Prepare for PDPM? 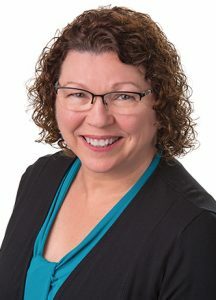 When the Medicare payment model changes for nursing homes on October 1, 2019, the drivers of reimbursement will be dramatically changed. Under the current payment model, the amount of therapy provided to the resident in a seven-day period is the major determinant of the amount of daily payment the nursing home will receive from Medicare. Additionally, the resident’s level of dependence in activities of daily living (ADL) impacts the final payment category and amount. The higher the level of ADL dependence, the higher the payment rate. The nursing assistant staff documents the supporting charting of each resident’s ADL dependence level. The new payment model, Patient-Driven Payment Model (PDPM), uses the resident’s clinical conditions as the main determinant of payment. The resident’s ADL dependence score is derived from an area of the Minimum Data Set (MDS) that is assessed and documented by the professional staff. There is no impact on the payment rate from the amount of therapy services provided. Payment is higher in the Physical Therapy (PT) and Occupational Therapy (OT) components of PDPM for residents who require some ADL help but are not totally dependent. These residents are more likely to be able to participate in and benefit from therapy services. Each component is scored separately and has federally established rates for each Case-Mix category in the component. The Case-Mix rates for each component are summed to establish the overall daily payment rate for the resident’s skilled stay under Medicare Part A. There will be no transition period to PDPM. On September 30, 2019, Medicare payment will be from the RUG-IV classification system. On October 1, 2019, Medicare payment will be determined by a new MDS that established the PDPM payment rate. Because there will be no transition, nursing facilities need to perfect their systems that impact PDPM now. Section GG of the MDS was added in October 2017. Confusion remains about the best process for obtaining an accurate assessment of the resident’s USUAL performance in the first three days and last three days of their Medicare stay. The most effective approach is to have the nursing and therapy staff collaborate on coding Section GG. If the resident only performs the activity in therapy, that is the resident’s usual performance. If the resident performs the activity multiple times per day with nursing staff and only once with therapy, the resident’s performance with nursing staff best represents their usual performance. Section I of the MDS is dependent upon accurate ICD-10 diagnosis coding and management so that the MDS and the Medicare claim contain the same information in the same order. 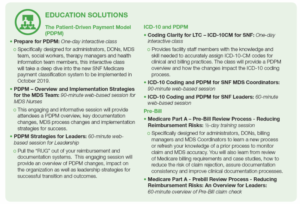 There are few resources for staff education for ICD-10 coding for nursing homes. Most nursing facilities do not have a professionally certified medical coder on staff. Ensure that the staff responsible for coding understands the Official Coding Guidelines as published by the CMS and NCHS. Most clinical software used in nursing homes automatically enters the diagnosis codes onto the bill. There must be processes in place to ensure that the admitting and primary diagnoses are entered in the correct location on the bill and the coded conditions entered on the bill provide the clinical “story” that supports the amount being billed. Pre-bill Claim Review involves an interdisciplinary team process that starts with the draft bill or claim and validates the information on the bill as well as the supporting documentation in the resident’s medical record. When this process is conducted effectively, the facility submits a “clean claim” that is a much lower risk for audit or medical review, thus is paid quickly and accurately. Pathway Health PDPM experts can assess your facility’s M-I-P systems and provide a detailed action plan for enhancing or improving these processes. Our PDPM consulting services and tools can support your busy leaders and staff to effect a smooth transition to the PDPM system. 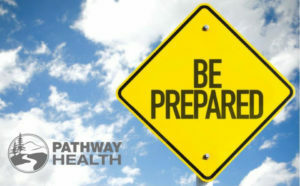 Pathway Health also offers expert PDPM training – classroom, onsite and web-based. Contact us to learn more. Ready to start preparing for PDPM? Contact us. Seeking out a career change or professional advancement opportunity is a major decision that can affect every dimension of your life. Pathway Health’s, Connections – Talent Acquisition Services – specializes in permanent placement opportunities for professionals seeking healthcare leadership positions. Our strength is in connecting people and opportunities! Our extensive knowledge, experience and nationwide network of contacts in the healthcare industry enables us to offer high-caliber candidates for Executive, Senior and middle management roles. As a result of our long-standing relationships within the healthcare industry, we have successfully placed many professionals in key positions affecting quality and organization outcomes. For those seeking a new area of employment, we will work closely with you to find the right match which reflects your career passion and values. We are committed to finding the right opportunity for you and are ready to assist you in attaining your career goals! Let us assist you! Contact us at 877-777-5463 or recruitment@pathwayhealth.com. Antibiotics can be life saving. But, many industry and government reports have revealed misuse and overuse of antibiotics in nursing homes create long-term resistance to infectious organisms which for a person over 65 years of age could mean hospitalization and even death. The Centers for Disease Control and Prevention clearly identifies that antibiotics are not always ordered with a valid indication, dosage and duration appropriate to treat the infection. Because overuse is a consistent problem in nursing homes, antibiotic stewardship has been gaining importance as a specific component to incorporate in infection prevention and control plans. Facilities that have already incorporated antibiotic stewardship are one step ahead of the game—setting up infection prevention and control teams and performance improvement projects. At Pathway Health, we are dedicated to guiding nursing homes and assisted-living facilities to quickly update their infection prevention and control program with a solid antibiotic stewardship component. 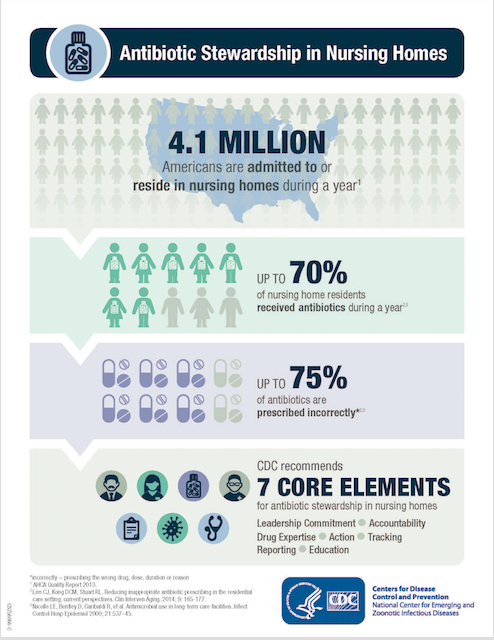 The attention on infection prevention and control was evident back in March, with President Obama’s ‘National Action Plan for Combating Antibiotic-Resistant Bacteria.’ This report emphasized improving surveillance for more effective response to stop an outbreak, increasing the longevity of current antibiotics with appropriate use, and increasing the development of new antibiotics. Then in July, the Centers for Medicare & Medicaid (CMS) released a proposed rule for long-term care facility reform, including the major responsibilities of an Infection Prevention and Control Officer (IPCO). This recommendation to develop an antibiotic stewardship program will likely become a federal regulation by the end of 2017. At Pathway Health, we know a big part of the solution is developing resources for nursing home staff and administrators. Our programs are designed to address surveillance, preadmission assessments, mapping infections, transmission-based precautions and more. Communicate the latest findings on antibiotic misuse with all staff members. Create clear policies for antibiotic treatment and set standards on infection control. Commit resources to monitor and time to track QAPI progress. Complete in-depth infection control training to educate staff and leaders. 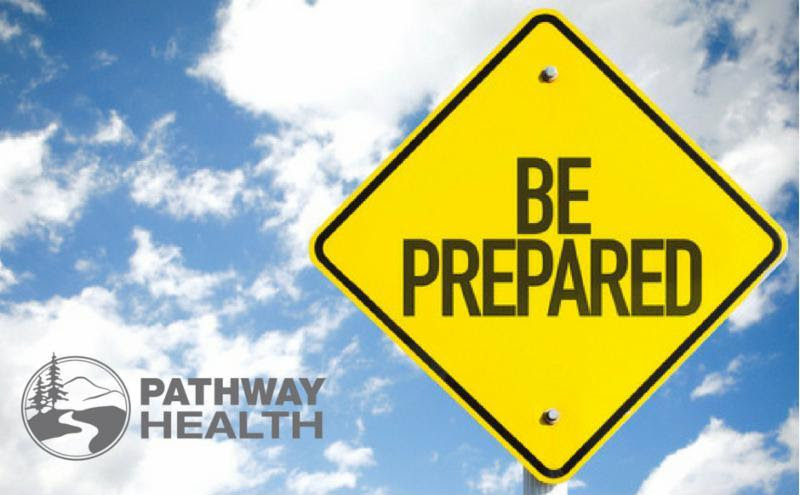 Pathway Health offers expertise in weighing the likelihood of infection transmission, tracking how an outbreak might develop, identifying infections early, and appropriately initiating antibiotic therapy. I highly recommend purchasing our updated Infection Control Manual and the QuickPath downloadable, Infection Control – Standard and Transmission Based Precautions. According to the CDC, “Approximately 4.1 million Americans are admitted to or reside in nursing homes each year,” and the number is growing. That is why it is more important than ever to optimize treatment and reduce adverse effects for this at-risk group. Still, the benefit is for everyone—residents, visitors and staff. Without a robust infection prevention and control plan, an outbreak could bring your facility into question, at a time when public audits and reviews can affect the viability of your LTC facility. With more regulations around reimbursements and value-based purchasing, managing infections is going to be critical. But, with the right leaders guiding you down the right path, you can control infections with confidence. FYI: The National Institute on Aging of the National Institutes of Health, the Administration for Community Living and Centers for Disease Control and Prevention have announced three free webinars on Alzheimer’s disease and related dementias for aging services professionals and others. Participants will learn more about new tools and strategies to support dementia caregivers. Continuing education credit is available. “What’s Happening in Alzheimer’s Research?” will be held Oct. 21 from 2 to 3:30 p.m. ET. “Caregivers Supporting People With Dementia: New Research and Technology” will be held Nov. 17 from 2 to 3:30 p.m.
More information about the webinars is available online. Pathway wants to be your regulatory and clinical education partner. We offer custom training solutions to fit your needs. Trust Pathway to find the most qualified professional to fill interim management positions within your organization. Let our experts work with your organization to provide hands-on mentoring and training, consultation and management support.